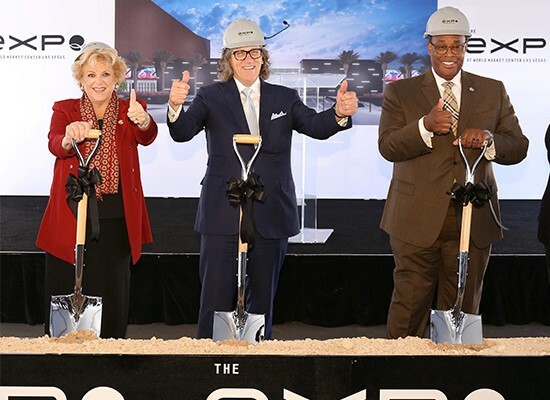 International Market Centers (IMC), owners and operators of World Market Center Las Vegas, broke ground today on construction of The Expo at World Market Center Las Vegas, a new 315,000-square-foot exhibition facility, scheduled to open in summer 2020 on the World Market Center Las Vegas campus. The new Expo at World Market Center Las Vegas will feature 194,785 gross square feet of exhibit space, which is divisible into two halls – North with 97,684 gross square feet and South with 97,101 gross square feet – which can accommodate up to 1,000 booths. The Expo at World Market Center Las Vegas will feature an expansive lobby area, registration area, onsite shuttle bus depot, attached parking garage and two permanent “grab and go” food service areas. Construction is scheduled to begin fully in April and the grand opening is expected for IMC’s Summer 2020 Las Vegas Market, a semi-annual marketplace for the gift and home furnishings industries. Outside of the January and July Las Vegas Market dates, The Expo at World Market Center Las Vegas will host tradeshows, as well as corporate and private events. According to Maricich, “Currently, there is approximately 200,000 square feet of available conference and exhibition space in downtown Las Vegas in several locations, but the largest single venue, at 85,000 square feet, is smaller than The Expo at World Market Center Las Vegas. 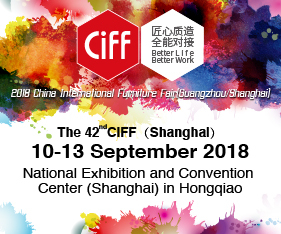 This new Expo Center will address demand for modern convention and trade show space that currently is limited in the downtown area.” For information and exhibit space availability, contact Jennifer Muna, CEM, IMC General Manager – Tradeshows, at jmuna@imcenters.com. Appliances to help you make the most out of a compact kitchen.